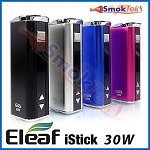 The iStick features a recessed 510 connection and is compatible with most 510 atomizers on the market - it works great with the Aspire Nautilus Mini! 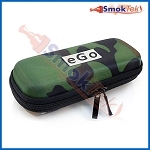 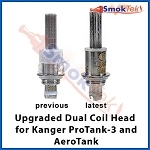 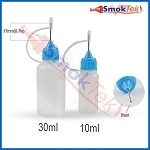 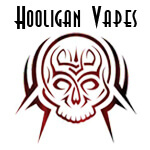 To use with eGo-threaded atomizers like the Kanger Mini ProTank-3, you will need to attach the eGo-510 adapter included in this kit. 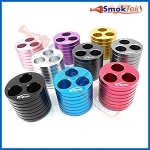 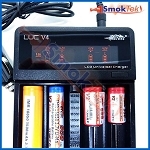 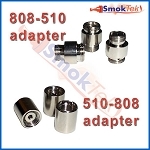 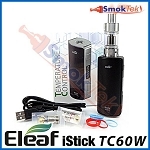 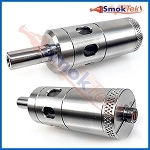 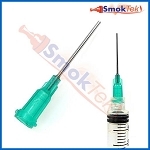 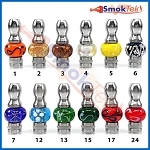 To run 808-threaded atomizers on the iStick, you will need an 808-510 adapter. 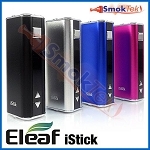 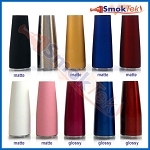 The Eleaf iStick battery only is also available in four colors.